growing on a productive microsite. Single trees within openings should be retained, although they might not otherwise qualify as crop trees. The inter-tree spacing at the periphery of openings should be reduced to compensate for trees missing from the opening; do not, however, retain an overly dense stand in one spot to compensate for a shortage of trees in another. Preferably, forked or double-topped trees should be cut. However, if selected to leave, they should be left wholly uncut. 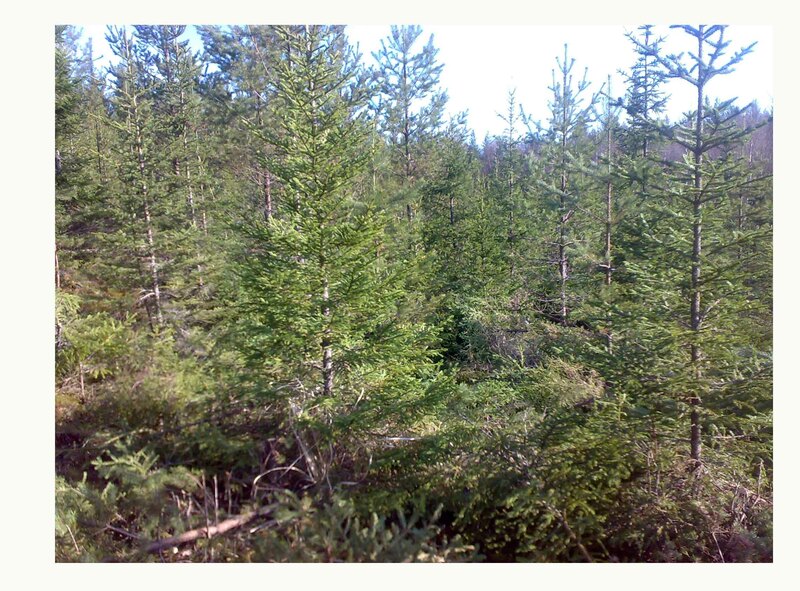 Selection of superior crop trees should supersede strict adherence to the specified spacing interval. Project/block size - the proportion of fixed costs (e.g., administration, supervision, safety) to variable costs (e.g., labour, equipment costs) usually decreases relative to project size. Access to and within the block - the cost of improving access should be weighed against the benefit of reducing the travel time to the work site. Slope and terrain characteristics - stands occupying steep, rugged terrain are more costly to treat than those on flat, gentle terrain. Post-juvenile spacing slash height - if a maximum slash height is set for fire hazard reasons, additional cutting may be necessary to reduce slash height. Stand density and height prior to spacing - the number of stems to be cut and the ease or difficulty of cutting them and placing them on the ground will impact costs. Worker movement - pre-treatment debris accumulation, slope, heavy, low branches and brush can affect the ease of work and travel within the block. Worker availability - prices can be affected by the supply of contract workers. For example, prices may be higher in communities with a small work force, or for projects scheduled for late in the field season. In interior stands, fall viewing of the next year's projects generally leads to lower bids. Fire season - fire prevention regulations must be strictly applied in the fire season. This will normally entail a fire watch and extra equipment on site. Special contract requirements - for example, buffer zones along travel rights-of-way and wildlife migration corridors.